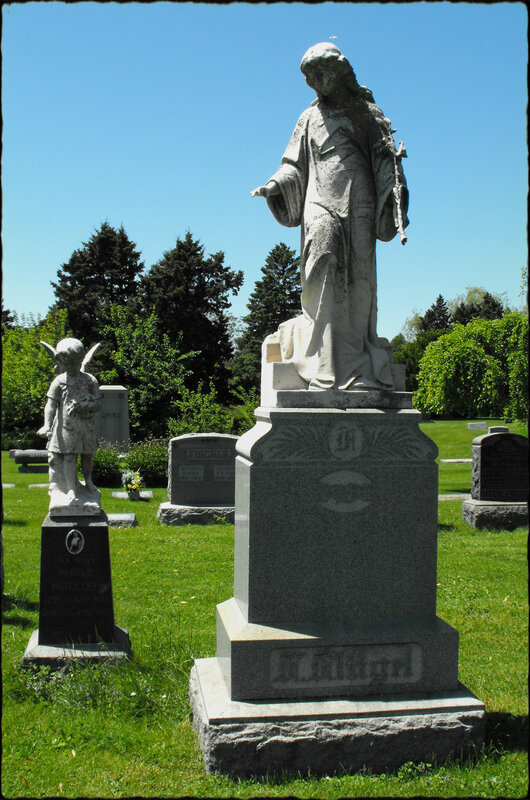 When I visited St. Luke Cemetery in Chicago this past spring I was focused on young Herold Mueller and his headstone. It wasn’t until later that I noticed the angel nearby who was keeping watch over him. 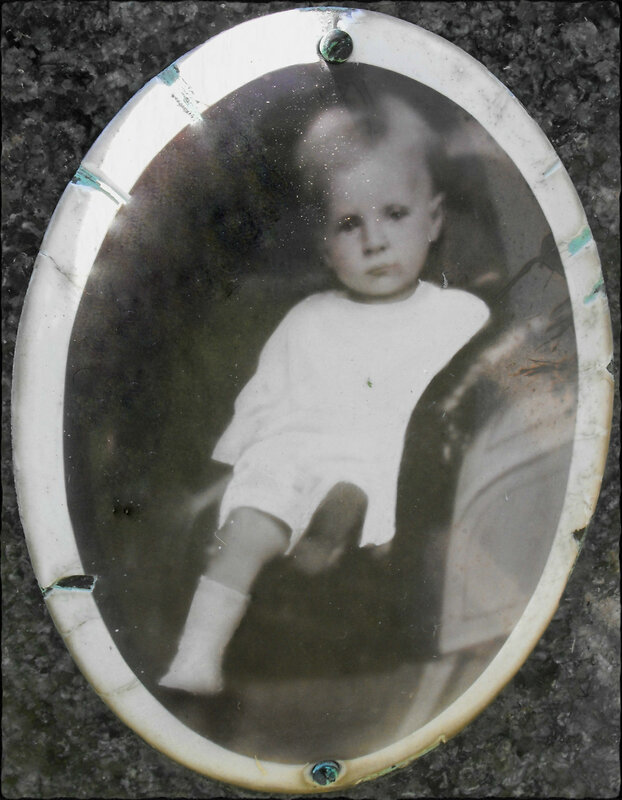 Herold’s picture is in an oval frame on his headstone. The German phrase hier ruhet means here rests Herold Mueller born 15 Nov 1910, died 10 Jun 1913.